Feeding nearly 45,000 Scouts and Scouters at the 2010 National Scout Jamboree requires tons of food, literally. 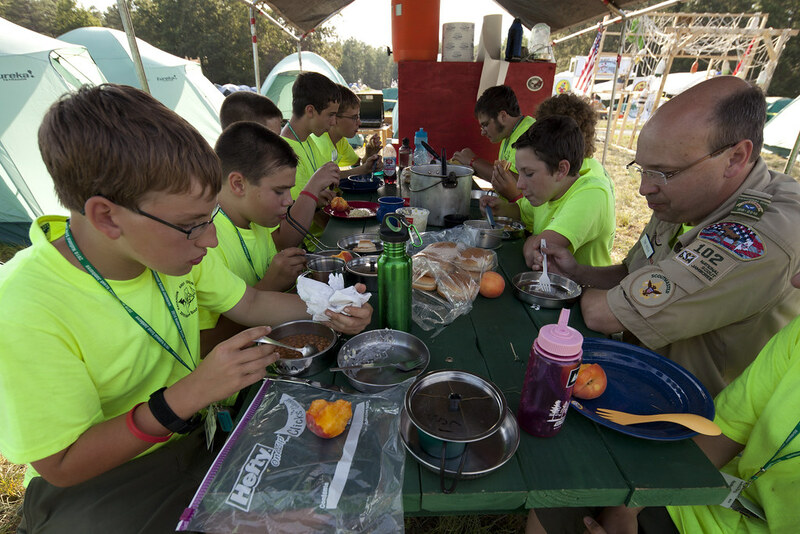 From the subcamp commis- saries to the lunch kiosks, from the staff dining halls to the ice cream stands, there are many meal options around the jamboree. The trading post has gone self-service for the 2010 National Scout Jamboree. Shoppers can now browse and select items more easily than ever before. 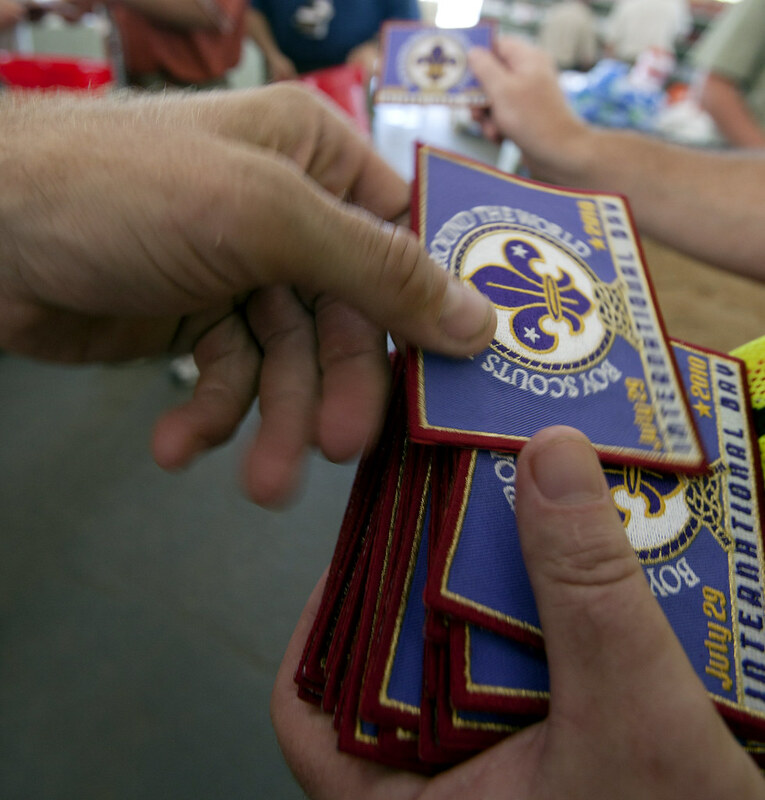 Scouts begin their new shopping experience by checking any backpacks or bags with trading post staff and receiving a chit that identifies their property. Similar to a department store, shoppers select their items and put them in a shopping cart, in this case a bright red bucket. They complete their purchases at one of several checkout stands near the exits and then retrieve their backpack. 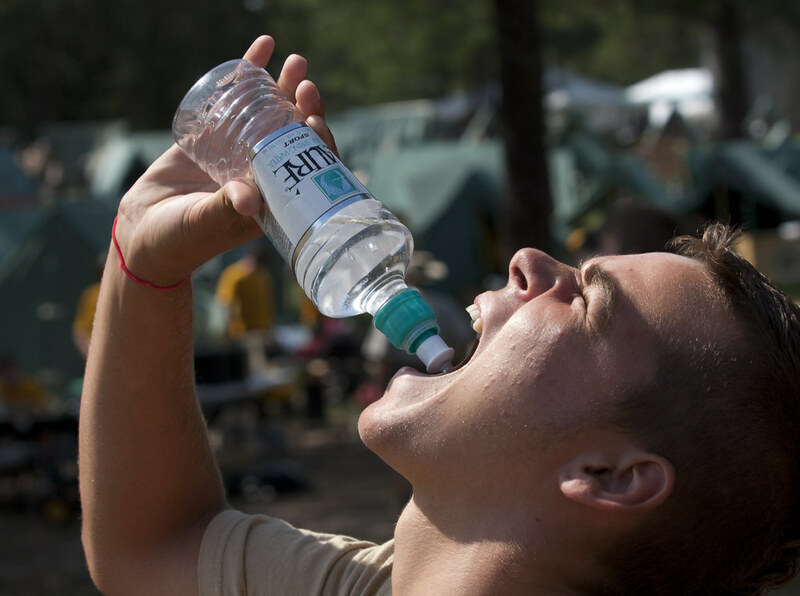 The sizzling sun at the 2010 National Scout Jamboree will raise not only the temperature outside but also the danger of certain medical conditions, including dehydration, sun burn, heat exhaustion and heat stroke. Campers may also experience blisters and a variety of bug bites and stings. The best way to prevent dehydration is to drink a lot of water. Each Scout and Scouter should wear the heat index card issued upon arrival at Fort A.P. Hill. The card shows how much water to drink per hour depending on the temperature and humidity. Periodic loudspeaker announcements will also describe the weather conditions using the color codes on the card. 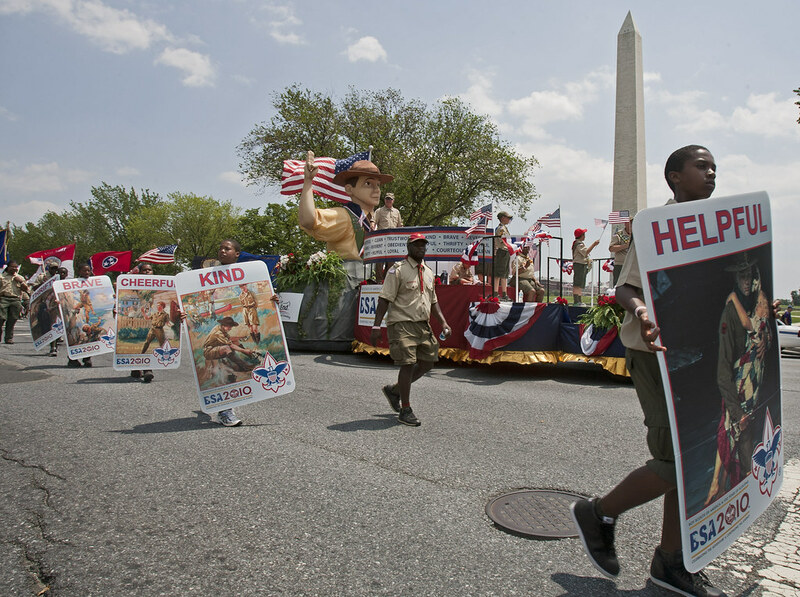 Scout on the Street: What was your favorite thing in DC? Jamboree Today asks, "What was your favorite thing in D.C.? Read more: Scout on the Street: What was your favorite thing in DC?